Irish men and boys with a love for natural products, prepare to rejoice. 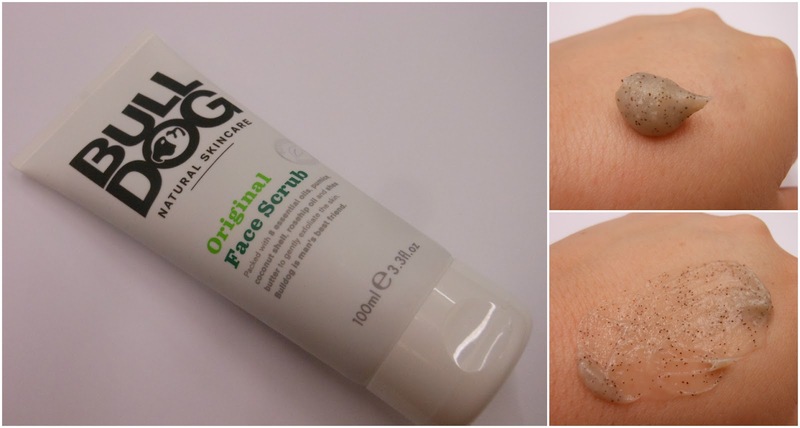 Bulldog, the British natural skincare line has launched in Ireland and it’s pretty flipping good. Aaron (eldest Gorgebag) and I had the pleasure of meeting Simon Duffy (Founder) last week to have a chat about the range, the story behind its production and his passion for the products themselves. He told us that he and Co Founder Rhodri Ferrier launched Bulldog Natural Skincare in 2005 to take the man made chemicals out of men’s bathroom cabinets. They identified a need for a men’s natural skincare range, designed by men and for men that wasn’t just a derivative of an already established women’s skincare brand. 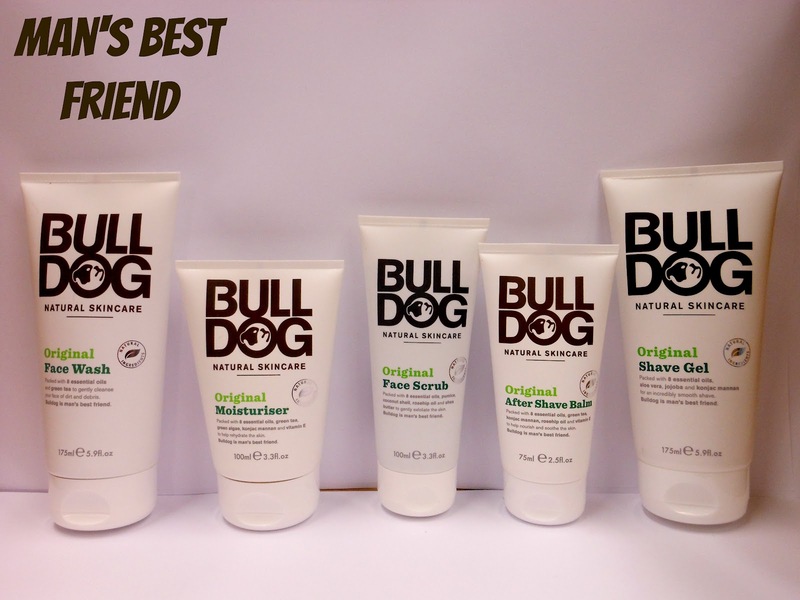 When I asked about the Bulldog name, Simon told us that they wanted people to understand that this skincare range is not pretentious and doesn't make grandiose claims; it’s honest and reliable, just like man’s best friend. With all of that in mind, they’ve made the entire range body friendly, with no man made chemicals such as parabens, sodium laureth sulfate, artificial colours, or synthetic fragrances. Instead Bulldog relies on essential oils and natural actives to provide some of the best skincare on the market today. 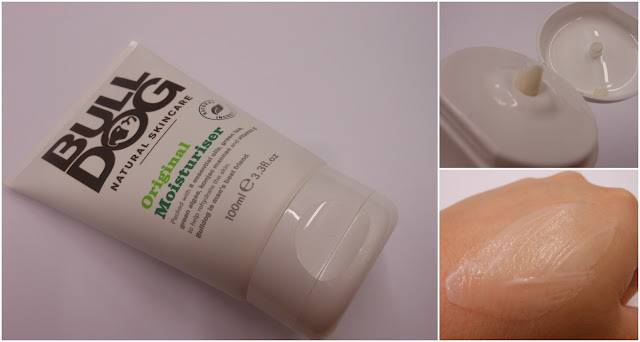 With Green Tea, Green Algae, Konjac Mannan (a Chinese plant) and Vitamin E, the Original Moisturiser has a light, fresh scent that’s barely detectable. 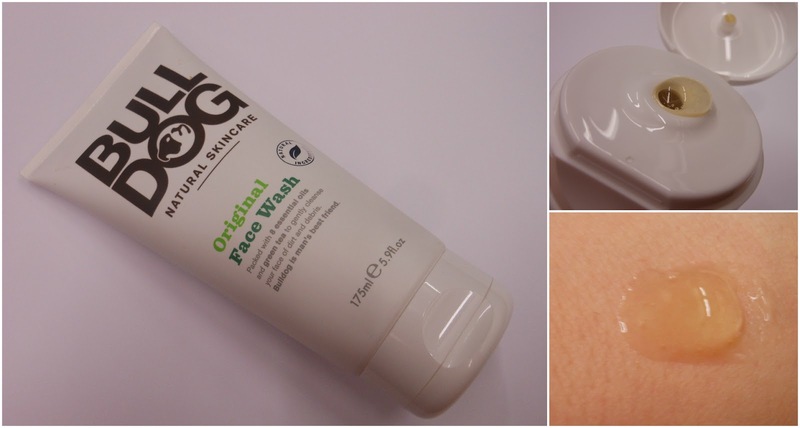 Its soft formulation soaks in quickly to a matte finish (which Aaron assures me is very important to manly men) so it’s your face just softer. Aloe Vera, Jojoba and Konjac Mannan are the key ingredients in this transparent gel. Used on wet skin, it foams only slightly and provides a cooling shave experience, while soothing the face and neck. This gentle cleanser is another soft foamer. Its non drying formulation contains Green Tea, Vetivert and Armoise (a Chinese herb that lends itself to the wash’s light herbaceous scent). This clear, yellow gel is a favourite of the youngest, leaving his fizzog completely clean and free of oils without drying it out at all. Designed to be used following your shave to reduce redness, counteract the effect of razor burn and soothe the skin the Original Aftershave Balm has a very light consistency that almost liquefies on contact with the skin. The key ingredients used here are Rosehip Oil, Green Tea, Konjac Mannan and Vitamin E.
With pumice, coconut shell, rosehip oil and shea butter to gently buff the skins surface and remove dead skin cells, this velvety feeling scrub was a little harsh for the youngest’s skin but Aaron absolutely loves it. Using it just once a week, as he’s still only a teen, his face seems brighter. This would be a sure fire hit for older men (as in older than 18). All in all, I’m thrilled to have added this natural range to the lads’ skincare routine. It comforts me greatly that they’re not using harsh chemicals or hidden nasties on their faces that can lead to break outs and undesirable side effects. To find out more about Bulldog visit their webite or find them on Facebook. I have checked out your products they are good,I have good experience of your scrub,its amazing. I bet you're even more glad that the lads will be leaving your stash alone now that they have their own!